Return of Make it Monday! Guess what? It’s monday. and I’m going to start doing Make it Monday posts again! yay! I’m sure most of you have already seen some of these, but since I just got back from our trip I’m just now getting to look at all of the amazing tutorials that have been posted in the blog world while I’ve been gone! 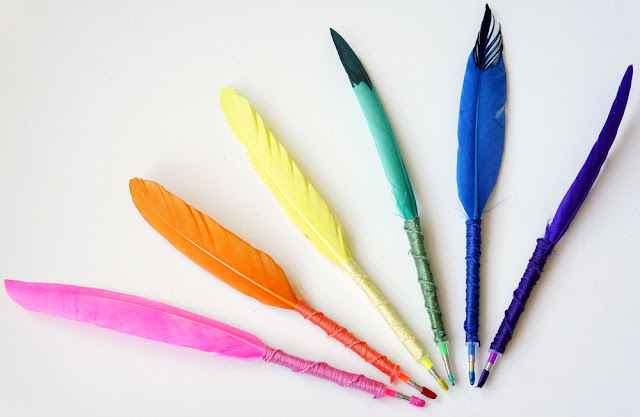 I love these gel pens turned into feather pens! find the DIY here. Make fabric covered suitcases with this awesome tutorial. 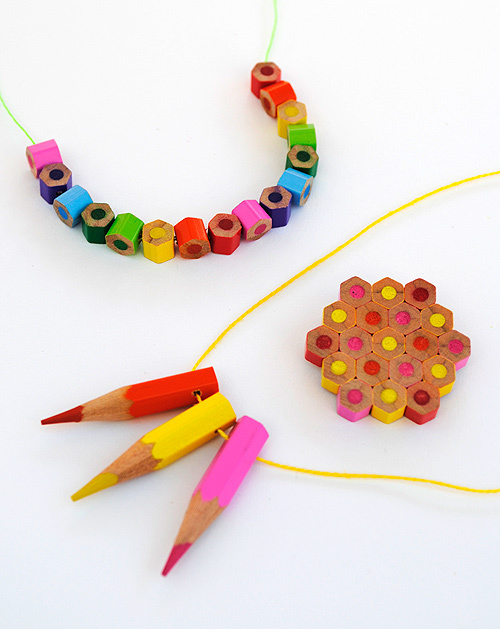 Create some artsy jewelry from colored pencils with this great DIY. 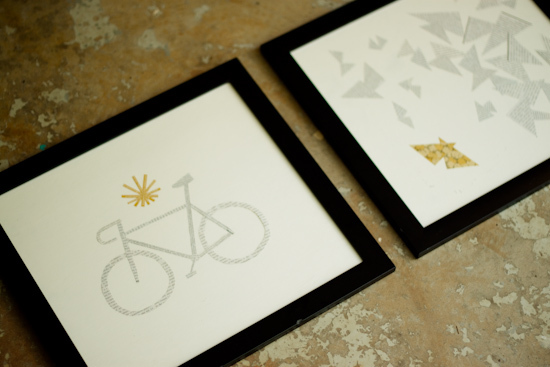 Recycle Magazines in to art using this neat tutorial. How cute is this Pear coin purse? Super cute! Get the pattern and tutorial here. Make some yarn word art using pipe cleaners and yarn with this awesome how-to! 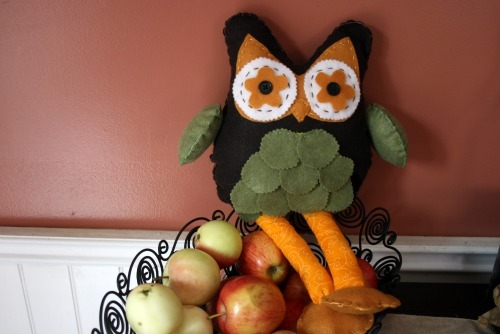 I love this little owl plushie! Get the pattern and tutorial here. Okay, I will stop there for now..Even though there are soooo many cute tutorials this time of year! p.s. Do you have a tutorial that YOU have posted on your blog or website?? Let me know about it and it might get featured in the next make it monday! love the suitcases and colored pencil jewelry. how cool! Thanks for linking my owl plushie! Oh and thanks for adding to my project to do list, now I've got some more fun things to try.